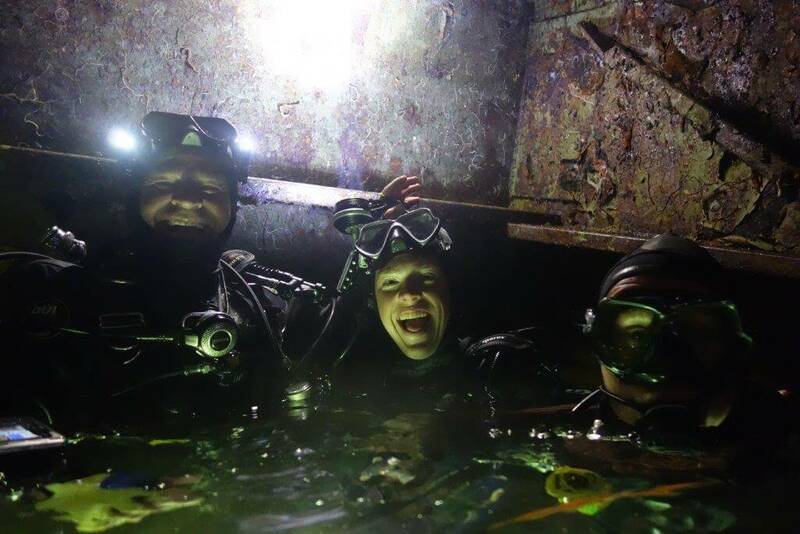 Home »Alpha-divers»What does it take to become a Scuba Pro’ and get employment after your course? What does it take to become a Scuba Pro’ and get employment after your course? Vehicles and the daily first parade, equipment and their daily first parade including basic resolves if you encounter issues, customer service, sales, flexibility and a unique individual approach to every person and their different needs…. but most of all your team as they are there to support and assist as your day, week or month progresses. So you passed the exam and earned your instructor ticket? So… What does it take to become a Scuba Pro’ and get employment after your course? So all you need to do now is find somewhere to work and that’s got to be the easy part right? Wrong! Getting your first job as a scuba instructor is hard. As a rookie instructor, it’s going to require more than being in the right place at the right time, with a big smile and a passion for diving. You need to stack the odds in your favour. In order to help you take note of the following guide. The age old catch 22, you need experience to get the job but how do you get one without the other? This is why it’s important to choose your professional training academy with caution as every part of your personal progression is important and will come in handy down the line. There are attributes that employers will look favourably upon in lieu of teaching experience. For a dive operation to be successful it needs to have dedicated, solid, reliable people working within it, there aren’t many jobs out there for people who just want to hang out and look cool & there are way too many people in the past who have tried to romance the diving industry with out the very much required ‘hard work ethic’ with a can do attitude. Never forget the age old time traditions, ‘do unto others as you wish done to you’… you will be respected and will in turn learn to respect others. IT/web skills – It’s the digital age, having a strong online presence is critical for a modern business and dive outfits are no exception. Dive centres always appreciate having staff who, when out of the water, can help improve their online presence. Web design or optimisation skills will definitely boost your chances of getting work… don’t forget the awesomeness of social media, watch what you put on your private site though, employers will check you out and your general conduct is important to them when you are dealing with their hard earned clients. In other words, don’t be a muppet, have fun of course but watch what you put on line. Mechanic – What happens to the dive centre when the compressor breaks, vehicle or boat engine dies? Calling in technicians to fix broken machinery, even cars, takes time and money, having someone on the team who can help with basic mechanics is a huge asset. Also showing you are mechanically minded will mean that you are more likely to catch on to things like regulator and BCD repairs. Train yourself if you haven’t got the mind for it, we are pretty awesome creations and are adaptable to anything if willing. Sales – A dive centre is a business, it needs to make money and it does that by selling its product to its customers. As an instructor working closely with a client you are in a perfect position to advise them on further diving, training or equipment. Dive centre owners and managers like to employ people with sales and marketing backgrounds as they are likely to be able to recognise revenue generating opportunities. Don’t just sit on your laurels and wait for the boss or manager to generate the ideas, step out of your comfort zone, try… your not always going to hit the mark but it means you are developing your attitude and the great ideas will eventually come i assure you. Having experience in managing customer expectations and generally keeping people happy is an asset. Many dive businesses rely on repeat business from their customers and they all should be concerned with online reviews that their customers leave. For these reasons they need to employ people who are able to ensure the customer leaves happy even when things don’t necessarily go as smoothly as you would like, this is where a flexible attitude is important. Ability to work with children – Not everybody can work well with kids. Nowadays there are so many programs for younger divers, being able to accommodate them means more business for the dive centre. Get on their level, literally squat down and speak to them direct if needed, they will relate to you if you relate to them… but it takes effort on your part. As a dive professional you will need leadership skills, people need to feel confidence in doing what you ask of them. Beyond this, larger dive centres like to employ people that they feel can work up to managerial roles. If you can demonstrate that you have been successful in people management then this will help you. Your own skills. If you have trouble with basic concepts like buoyancy, navigation or deploying an SMB then it will be noticed, so sort it out. Be the best you can be – if you know you have weaknesses in fundamental skills that you are supposed to teach to other people then practice the hell out of them and improve yourself. Having your own gear is not something that will put you head and shoulders above the competition, it is a basic requirement. This includes ancillaries like an SMB, torch, open heel fins with boots (more on that later), computer, compass, knife if wreck diving etc. Tough, practical, hard wearing gear is best and if you know where you want to go to work it is worth looking at how easy it is to get your brand of gear serviced and maintained in that area. Mares & Apeks are the easiest to get serviced and the best manufacturers to be fair. When the brown stuff hits the fan things get very expensive very quickly, trust me, you need insurance. As a professional (depending on where you work), it may make sense to think about liability insurance as well, DAN is our chosen favourite because they are on the ball and are always there to assist your needs. Make sure your instructor certification is valid and that you have paid up all your membership fees, this is common sense but you’d be amazed how many people don’t make them selves professionally bullet proof. Like any job, you are going to need to get a CV or resume together. You can research ideas but I would suggest keeping it short and sweet. Dive centres get sent sack loads of emails from people wanting work, yours needs to stand out and should not include pointless blurb. Good advice is not to wait until an opening is advertised. When a dive centre advertises that they have a position available, they get absolutely bombarded with emails from people with all kinds of experience. Of course there is no harm in responding to adds if you see one you want. Leading agencies have jobs boards and there are other places you can look for example facebook sites, dive job websites and sections on forums like scubaboard. Keeping an eye on these sites can help you build an overall picture of the employment market. It shows you what region is hiring at a particular time and can also point out places to avoid like somewhere that constantly has to repost the same job advert over and over again because they can’t hold on to their staff. But personalise it… find out the manager or owners name… check them out on line first or you will get deleted… engage them directly and personally if you can. 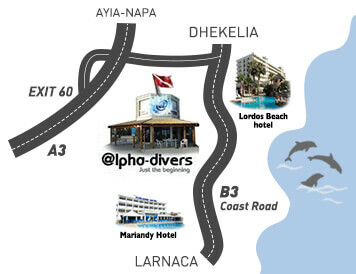 I am coming to Cyprus and really want a dive job, do you have any openings in June? I note with interest that your dive centre is an Project Aware Partner & eco-operator. As a diver with a passion for environmental sustainability I would like to enquire about forthcoming employment opportunities within your organisation. Approach 1 is of course the easiest and can be sent out blindly to hundreds of dive centres at a time by putting their email addresses in the BCC field. Even though you can reach more people in less time, it is likely any reputable organisation will trash the email, i certainly would and do quite regularly. It shows laziness and a lack of commitment! Approach 2 shows that you have an interest in the dive centre, it compliments them and shows them that your personal interests are in line with the company goals. Little things like this help you appear to be interested in working for that specific company as opposed to just getting any old job that you don’t really care about. There are so many opportunities out there it is impossible to imagine. When chasing a dive job, you need to be wary, some could offer the best job for you in the world, others could end up being an expensive disaster. Never rush in to anything and always do your homework. Research the location, company, hours, work etc etc etc. Don’t just go out there and desperately grab the first place you are offered because it is critical for your success that you find the right place. Ask yourself genuinely what do you want and then try to find it. For me it was my own centre and i’ve been blessed ever since, but boy did i graft for it, sacrifice after sacrifice but now 12 years in it was then best move i ever made… have you got the minerals to change your passion in to something more?